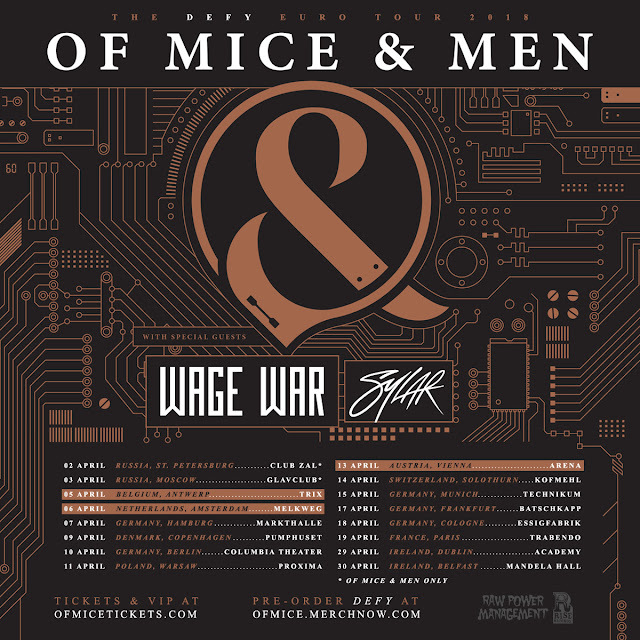 OF MICE & MEN will be back in Europe's best clubs next month in support of their latest album "Defy". "Defy" came out on January 19th via Rise Records and received praise all over for its strength and intensity. You can stream it on Spotify or check out the videos for singles "Warzone", "Back To Me" and the cover of Pink Floyd's "Money". The tour will be supported by Wage War & Sylar on most dates.